My body, not used to the suddenness of change, of being rudely transported from paradise to the hustling, bustling, polluted metropolis, naturally protested and what an insolent way of protesting too. If I didn't need it so much, I swear I would have hand-cuffed it, frog marched it and ordered it to get well soon, which I realised will not help at all, and so I am in bed, pampering it with TLC, through gritted teeth, willing it to get well soon. I am wrapped up in two sweaters, a thick track-pant which belongs to husband, and a blanket which belongs to son, and am reclining on my bed, as I post this. Every movable joint in my body, hurts and I am suddenly aware how it might feel to be eighty four years old. My mind cannot help but keep going back to the week that was. Oh, the memories, this vacation brought! To say they are treasured, would be saying it very very mildly. It was truly a magnificent holiday. We had been to Andaman islands,a place which I wanted to visit for a long time, and I finally got a chance to go to. Even though Andamans are a part of India, it feels like a different world altogether. The connectivity is limited, the electricity is erratic and every single thing has to come from the mainland in ships. You can take a flight to Port Blair from either Chennai or Kolkata. Then you have to take a ferry to Havelock island, which is where most of the resorts are. (The Ferry isn't an easy journey. Almost everybody fell sea-sick when we went. We felt slightly superior as all four of us were okay and we handled the rough sea like seasoned sailors, perhaps, because we have indeed travelled a lot). If you want more information on getting there, click here. Let me share with you, a few photos that tell the story, as pictures speak louder than words. The first day that we landed, it was gloomy and grey. It was a high tide and this is what greeted us, when we stepped out on to the beach. Soon it brightened up. The above photo was clicked by me, (notice the slippers in the pic? I felt they added to the composition) at Radhanagar beach at Havelock island . This beach is pristine, unpolluted and breathtakingly beautiful. It has also been named as one of the top beaches in Asia. We had hired scooters and we drove everywhere around the island. My children were very surprised to know that their mom can actually ride a scooter (and ride it well). :) (I have driven two wheelers since I was 16 and four wheelers since the age of 17, but my children have only seen me in chauffeur driven cars :)). Half the island, came out and stared at me when I drove the scooter. I was told that Indian women do not generally drive the scooters--only the foreigners do. I found that cutely endearing. The island is very picturesque. Each scene that greets you on the road, looks straight out of a picture postcard. Look at the photo above? Isn't it gorgeous? The Tsunami of 2004, had affected the island badly and you see every now and then, the effects of its destruction and how it altered the landscape forever. But I can vouch that it, in no way, has made the island less beautiful. In fact, it looks wild, untamed. Every now and then, you will see large trees fallen like this, along the beach. Look at how green the island is? I clicked this picture of my husband and my daughter. And doesn't the above picture radiate peace and calmness? 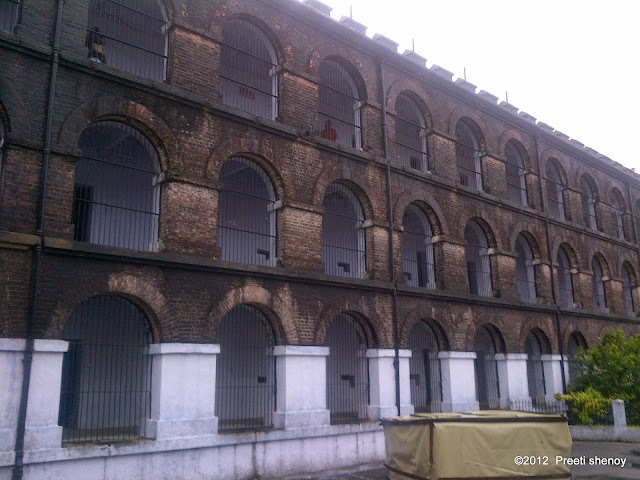 We stayed a night in Port Blair, and we visited the Cellular jail and the emotion in evoked in me, can only be described as heart-wrenching. If you do not know about the 'Kaala pani' please click on the link to read. I was moved deeply by the experience. We also watched the sound and light show and I think every Indian, should really visit this place and see what the freedom fighters went through. 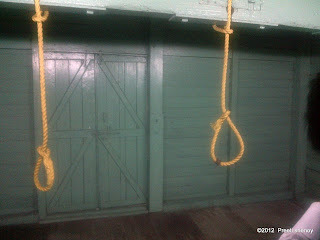 The gallows where they were hung, the methods used for torture, Veer Savarkar's cell where he spent ten years--all of it left me speechless and there was a lump in my throat, when I walked down the corridors of the prison, where a few decades before, the political prisoners had walked. The British were really barbaric. 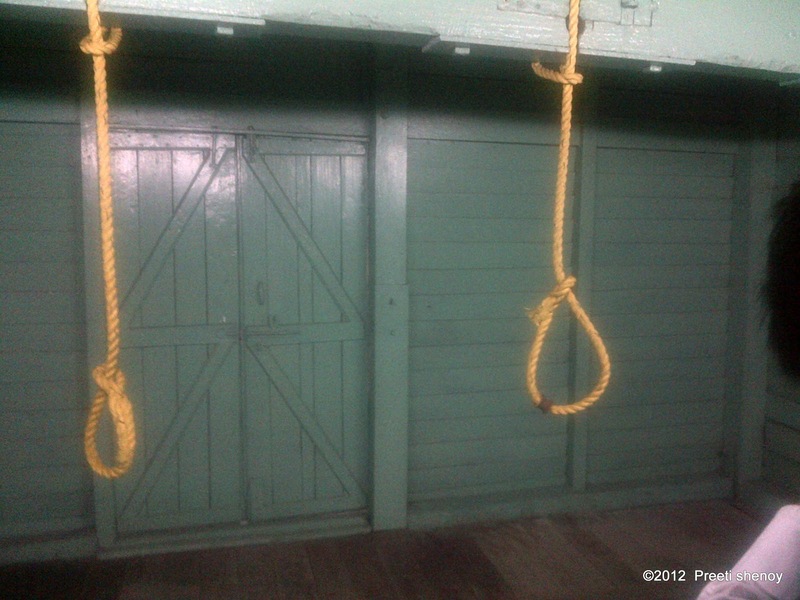 It makes your blood boil, when you visit these historical sites and see what atrocities have been committed on Indians. My non-Hindi speaking friends, kindly excuse. I find the deep impact of these words, is felt only in Hindi. Somehow, translating these great words dilutes them. We returned back from cellular jail, in reflection, in quiet reverence to the great Indian struggle for Independence and valuing our freedom that much more. My children and I, also gathered a lot of sea-shells and we intend making a jar of memories. All in all, a memorable vacation. My mind is still dancing. Now if only my groaning moaning body would co-operate. Awesome. You must be into Photography field too. Your clicks looks Professional. Andaman is in my wishlist, and I hope I will go there soon. You look amazing in all the pictures. Sowmya: Had already done snorkelling in maldives and had already blogged about it! Therefore found the other things more interesting to talk about :) Yes, anadmans is amazing and good to know you visited too! Nandana: Yeah :) Bad hangover with burning fever! Antriksh: Nice name!It means 'horizon' right? Welcome to my blog and thanks for the comment! Great pics preeti ! Feels like planning the vacation ASAP. I heard theres a ferry from vzag to Andaman which takes2 days! and ATB for your 4th book ! I have already ordered my copy of your book and cannot wait to grab it ASAP! Take care...get well soon...and wishing you all the roaring success for your book too! Welcome back! lovely pictures,especially special touches like the slippers. hey...awesome pics!! Thanks for sharing!! Durga: thank you, really feeling lousy. Tarang: hope i do. These aches and pains are horrible. Afshan: yes--i think it takes 60 hours by ship. A two hour journey itself people get sea-sick. imagine sixty! And hey--thank you! The pictures are gorgeous and the post lovely!!! Get well soon...drink lots of water, sleep off the pain and rest all you can. Take care:-)). Good to see ur pics in Andaman. i have pre-ordered ur fourth book and waiting eagerly to read. Had a virtual safari of andamans with your narration. I recently made a brochure on it for my english assignment,and I will visit this place surely, maybe when I will grow up and have a wife. Doggie-resort thing, I heard it first today. Must be nice too. Strong, you must be to ride that scooter. I can guess your kid's reaction, I too had just one. Get Well soon. 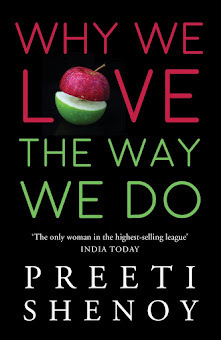 :-) Super-Excited to Grab your New Book, Pre-ordered it hope it will have your autograph too..take Care. 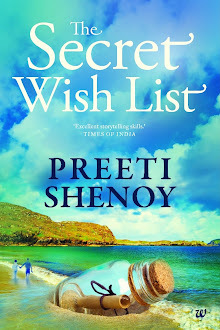 I pre-ordered Your fourth book in flipkart.. waiting for the book mam..
All the best for it mam..
Scooter riding is definitely something surprising..I personally feel that it is heavier for a female to operate! Great pictures. he... hello preeti.... wow really nice pics.... and your collections is also too good. 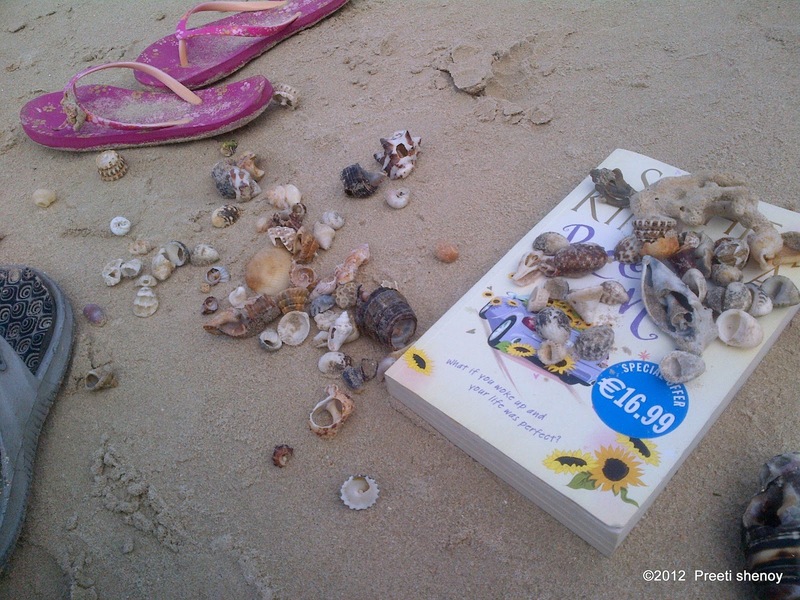 I love your books and so i have started reading your blog too !! I am really enjoying reading your blog. I have been to Andaman and yes it is an amazing place on earth. I loved your pics.They are really nice. Really nice pics. 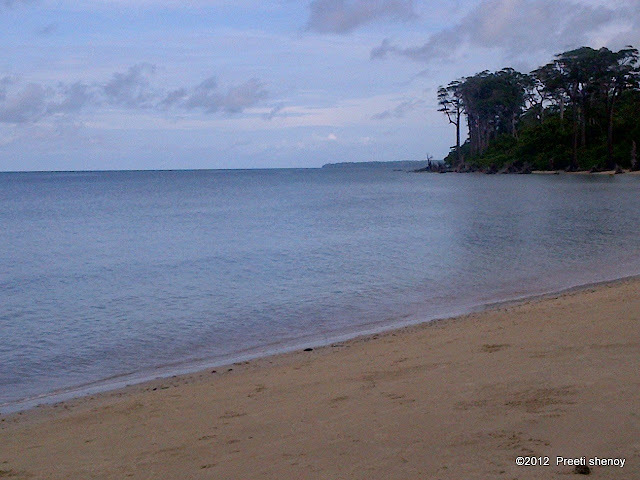 I have been to Andaman and it is really an amazing place on earth.